Erected by their son John in memory of his dear parents. 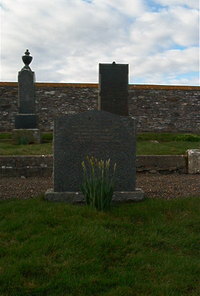 Donald Mackenzie died at Forse 6th October 1901. Margaret Forbes died at Forse 14th February 1938.